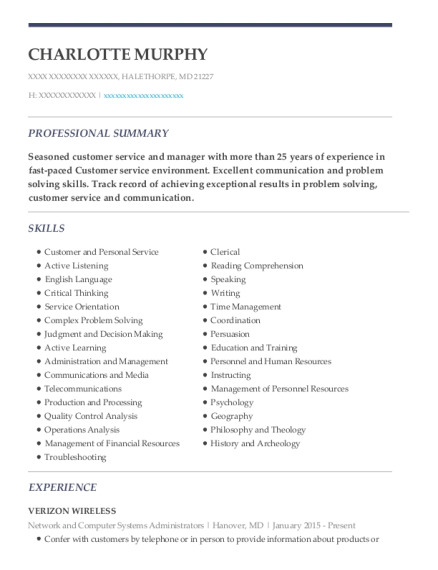 Seasoned customer service and manager with more than 25 years of experience in fast-paced Customer service environment. Excellent communication and problem solving skills. Track record of achieving exceptional results in problem solving, customer service and communication. Handle daily phone calls from clients dealing with technical support, billing and financial questions, orders created and submitted, problem solving and more. Help to handle and create relationships with clients. Sales of accessories or new mobile devices to clients. Reviewed policies and underwrote them in accordance with Maryland and Agency Insurance Company regulations and guidelines. Worked with customer agents daily to help problem-solve accounts. Underwrote new policies submitted by agents. Confirmed new policies had the current rate and/or make necessary changes to achieve the rate required. Maintained high-quality data entry and ensured all information inputted into the data systems were correct. Used a variety of databases, automated systems and other office software to retrieve needed information. Ensured agents were kept abreast of new/changing policies within the company. Receive and sort incoming and outgoing mail along with company routine correspondence in mail room capacity when necessary. General clerical duties when help is needed. Would screen and deliver all packages when received in office when necessary. Maintain files of all company correspondence. Conferred with customers by telephone, provided information about products and services, took orders or cancelled accounts, and obtained details about complaints. Answered high-volume phone calls with high accuracy and professionalism. Kept records of customer interactions and transactions, recorded details of inquiries, complaints, and comments, as well as actions taken. General clerical and administrative duties when they are needed. Maintain files of company correspondence. Would enter data received using programs within our office system. Most were tracking and database systems. Helped manage and maintain automated control systems for all our correspondence or materials we received in the office. Often times to make sure the information was inputed to the correct file. Reviewed customer policies in order to make appropriate recommendations to customer needs. Helped arrange meetings for departments and also send out via email when necessary. Open and sort mail for the office each day. Compile and enter all data received from our customers through contracts and enter that into our tracking and database system. Perform clerical tasks such as typing, filing, and microfilm photography. Received and counted drawer at beginning of shift and balanced drawer at end of shift. Recorded all transactions promptly, accurately, and in compliance with policies and regulations. 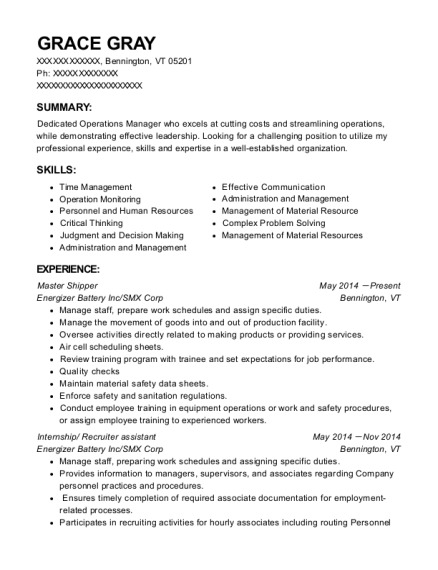 This is a resume for a Network and Computer Systems Administrators in Halethorpe, Maryland with experience working for such companies as Verizon Wireless and Agency Holding Company. 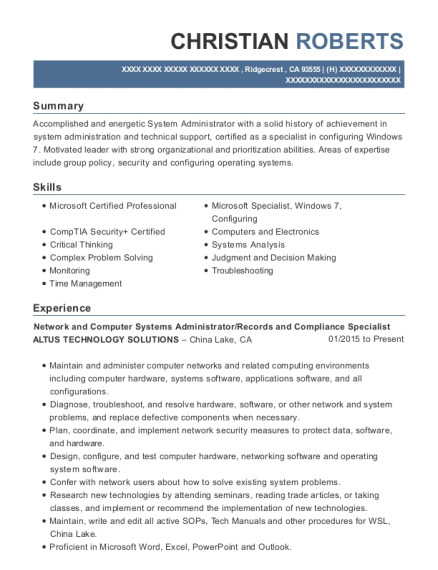 The grade for this resume is 0 and is one of hundreds of Network and Computer Systems Administrators resumes available on our site for free. 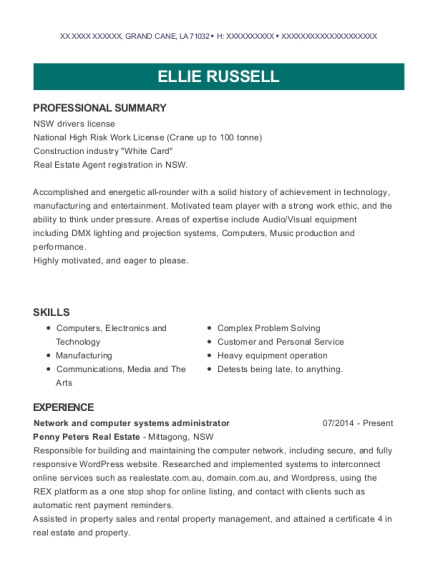 Use these resumes as templates to get help creating the best Network and Computer Systems Administrators resume.